Located in the space formerly held by Governor, the restaurant that was shuttered due to Hurricane Sandy, Atrium DUMBO serves up French-inspired fare. The chef, Laurent Kalkotour, has worked in kitchens run by Alain Ducasse and Daniel Boulud. Atrium DUMBO, 15 Main St., Brooklyn, NY 11201, 718-858-1095. The NoMad Hotel is home to sweetgreen, an organic farm-to-table salad shop and eatery that was originally founded in Washington, DC. sweetgreen, 1170 Broadway, New York, NY 10001, 212-796-1500. The new East Village spot Sushi Dojo is under the command of chef David Bouhadana, who has worked with Masaharu Morimoto. In addition to sushi, the restaurant serves a large selection of rare sakés. Sushi Dojo, 110 First Ave., New York, NY 10009, 646-692-9398. New York City has finally launched its first Umami Burger. The popular Los Angeles-based chain has debuted a Big Apple outlet on W. 10th Street and Sixth Avenue in the West Village. Umami Burger, 432 Sixth Ave., New York, NY 10011, 212-677-8626. Piora, located in the West Village space that once housed the short-lived Goodwin, is a Korean-Italian restaurant. The menu features dishes like suckling pig with radish and apple, and bucatini with black garlic, snow crab and chilies. Piora, 430 Hudson St., New York, NY 10014, 212-960-3801. Corvo Bianco, a new Italian restaurant on the Upper West Side, is helmed in the kitchen by Elizabeth Falkner, recently of Krescendo in Brooklyn. Corvo Bianco, 446 Columbus Ave., New York, NY 10024, 212-595-2624. Susanna Pizzeria is smack in the heart of Greenwich Village and serves up northern Italian-style pies in a casual environment. Susanna Pizzeria, 182 Bleecker St., New York, NY 10012, 646-678-3466. Luksus is a Danish restaurant connected to popular Greenpoint Danish beer bar Torst. The restaurant will feature a $75 five-course tasting menu. Luksus, 615 Manhattan Ave., Brooklyn, NY 11222, 718-389-6034. Newcomer Vella on the Upper East Side serves the food and wine of France and Italy. There's also a list of craft cocktails, some of which were inspired by the UES. Vella, 1480 Second Ave., New York, NY 10075, 212-335-0456. Former Corton chef Paul Liebrandt has opened The Elm. 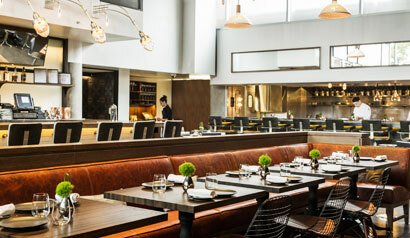 Located in the King & Grove Williamsburg hotel, the restaurant serves up dishes like lamb neck, foie gras, and turbot paired with peas and bacon. The Elm, King & Grove Williamsburg, 160 N. 12th St., Brooklyn, NY 11249, 718-218-1088. Chef Dale Talde, who runs an eponymous restaurant in Park Slope, has announced his next venture will be a Filipino restaurant. There's no location or opening date yet. Chef Andy Ricker has just announced that he's moving his wildly popular Pok Pok NY to a new address (117 Columbia St.) down the street. Located in the building that once housed Chio, the new space will be bigger all around, including the dining room and kitchen (which means an expanded menu). The move is supposed to take place sometime this fall. Pok Pok NY, 127 Columbia St., Brooklyn, NY 11231, 718-923-9322. Grand Central Oyster Bar, Park Slope Edition? There are strong indications that the legendary Grand Central Oyster Bar & Restaurant may be opening up an outlet in Brooklyn's Park Slope. If so, further rumors indicate it would debut by the end of 2013 or early 2014. Grand Central Oyster Bar & Restaurant, Grand Central Terminal, Lower level, 42nd St., New York, NY 10017, 212-490-6650. New Jean-Georges Vongerichten restaurant ABC Cocina has begun serving weekend brunch. Dishes include coconut pancakes with market berries. ABC Cocina, ABC Carpet & Home, 38 E. 19th St., New York, NY 10003, 212-677-2233. Danny Bowien, the acclaimed chef behind Mission Chinese Food in San Francisco and New York, is rumored to be opening a Mexican restaurant called Mission Cantina on the Lower East Side in the fall. No Go for Gordon Ramsay? Rumors are starting to pick up that Gordon Ramsay's eponymous New York restaurant, Gordon Ramsay at The London, will be shutting down its burners for good. Stay tuned... Gordon Ramsay at The London, The London NYC, 151 W. 54th St., New York, NY 10019, 212-468-8888. The Palm is offering Summer Lobster for Two through August 31. The special, priced at $79.95, includes a four-pound jumbo Nova Scotia lobster tail, two starters (Caesar salad, lobster bisque, watermelon and mozzarella salad) and two individual sides. The Palm, 837 Second Ave., New York, NY 10017, 212-687-2953. Una Pizza Napoletana, Take II? After nearly single handedly bringing the Neapolitan pizza trend to New York City, pizzaiolo Anthony Mangieri packed up his rolling pins and moved to San Francisco. But we recently got word that he and the owner of Brooklyn-based Krescendo might be in talks to do a Big Apple project together. Stay tuned. Chef Paul Liebrandt has left Corton, a GAYOT 2013 Top 40 Restaurant in the U.S. He's focusing on his new Brooklyn restaurant, The Elm. Corton, 239 W. Broadway, New York, NY 10013, 212-219-2777. Robert Aikens, who worked in a Stephen Starr restaurant in Philadelphia, was named the chef of the forthcoming Murray Hill restaurant, The Peacock. The restaurant, which opens in September, will focus on British fare. Rene Stein is the new chef at elevated Czech restaurant Hospoda. Hospoda, 321 E. 73rd St., New York, NY 10021, 212-861-1038. Nick Subic, late of Roberta's and Do or Dine, is the chef at the new King Noodle in Bushwick, Brooklyn. The restaurant's funky menu includes dishes like kimchi carbonara and spam fried rice. King Noodle, 1045 Flushing Ave., Brooklyn, NY 11237, 718-456-6543. Sebastien Chamaret, who recently manned the stoves at Williamsburg's Le Comptoir and who has logged time in the kitchen at Daniel, is the new chef at Bagatelle in the Meatpacking District. Bagatelle, 1 Little W. 12 St., New York, NY 10014, 212-488-2110. There's a new pastry chef at Daniel Boulud's flagship restaurant, Daniel. Ghaya Oliveira comes from Boulud Sud to take over for Sandro Micheli who plans to move to France. Daniel, 60 E. 65th St., New York, NY 10065, 212-288-0033. F. illi Ponte Ristorante, also just known as Ponte's, has shut down for good. F. illi Ponte Ristorante, 39 Desbrosses St., New York, NY 10013, no phone. The Meatpacking District’s Abe & Arthur's will evolve into a new restaurant sometime this fall. It will become La Cenita and will serve, as the name suggests, Mexican fare. 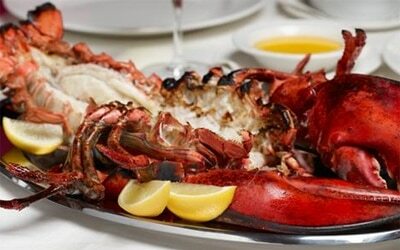 Abe & Arthur's, 409 W. 14th St., New York, NY 10014, 646-289-3930. Brooklyn restaurant Saul closed on Sunday, July 14. It will reopen later this year under a different name inside the Brooklyn Museum. Saul, 140 Smith St., Brooklyn, NY 11201, no phone. The Darby, the restaurant and club in the Meatpacking District, will close by the end of July 2013. The Darby, 244 W. 14th St., New York, NY 10011, 212-242-4411. Pepe Verde, the small pasta-centric West Village restaurant, has shut down for good. Pepe Verde, 559 Hudson St., New York, NY 10014, no phone.